Edmund Burke, stalwart supporter of the American Revolution, was born in Ireland, educated at Trinity College Dublin where he formed a debate club that is still around (making it the oldest, continuous, active club in the world), and then moved to England and served in the House of Commons. 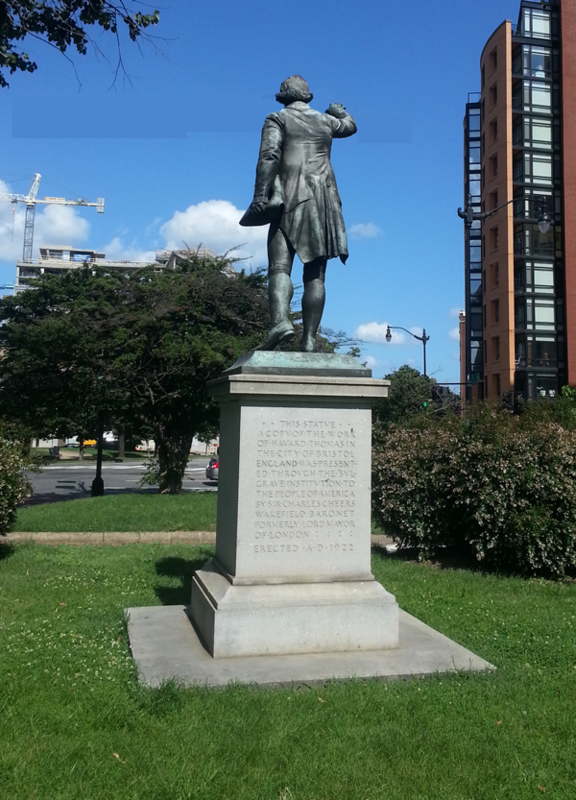 The statue, located in the triangle park formed by Massachusetts Avenue, L Street,, between 11th and 10th Streets, NW, was a gift to the United States by the Sulgrave Institute of England. The statue dedication was held on October 12, 1922. A British delegation came over for the ceremony. And Sir Charles Wakefield former Lord Mayor of London and treasurer of the Sulgrave Institute delivered the address. The memorial project was approved by the Commission of Fine Arts on March 31, 1922, and the site was approved on July 21, 1922. 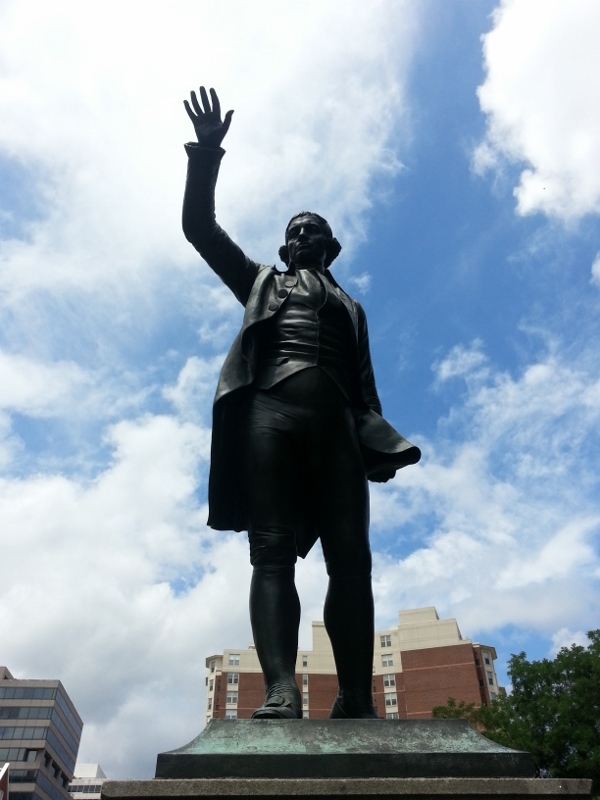 The statue is a replica of one in Bristol, England, that was unveiled there in 1894. 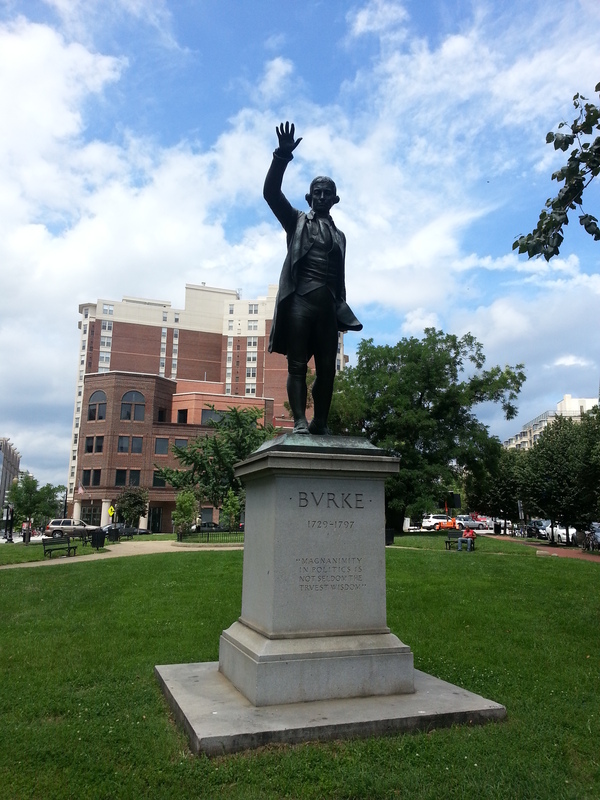 The statue is in bronze and depicts Burke in the middle of a speech. 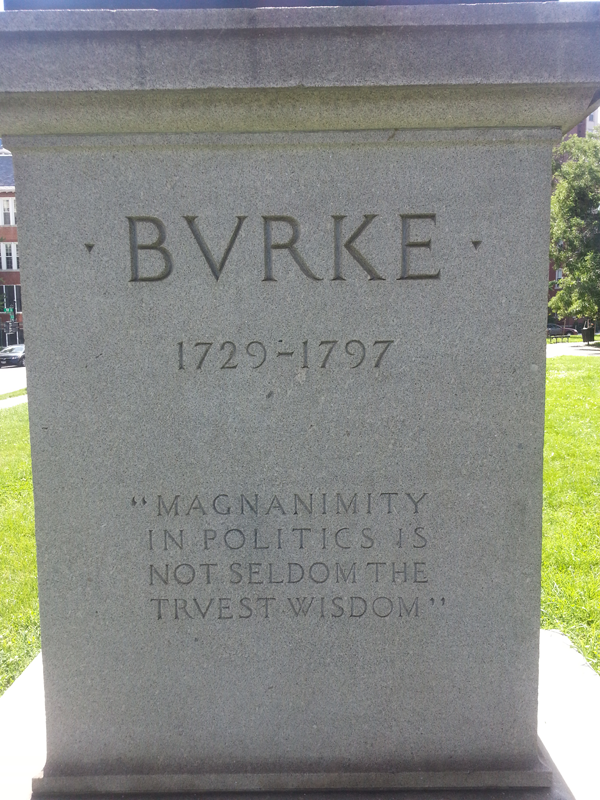 Below is the inscription on the back of the pedestal. 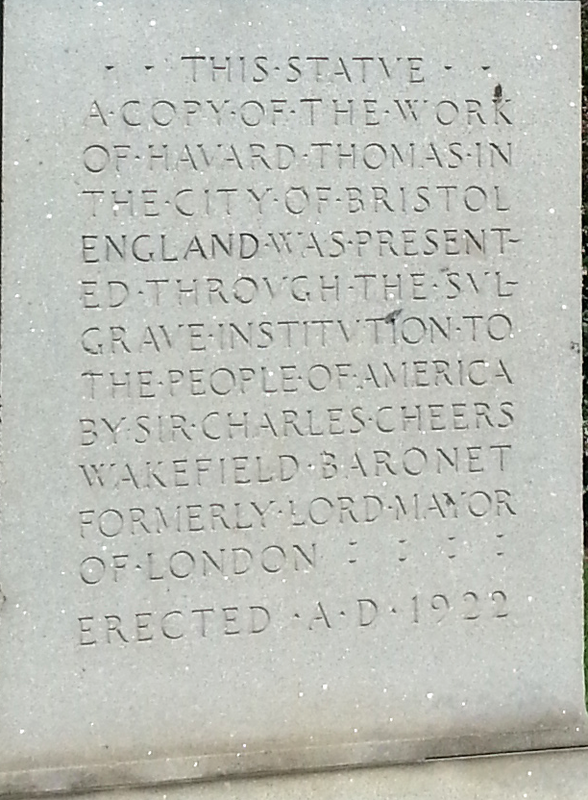 This statue — A copy of the work of Harvard Thomas in the city of Bristol, England was a presented through the Sulgrave Institution to the people of America by Sir Charles Cheers Wakefield Baronet formerly Lord Mayor of London…. Erected A.D. 1922. The Sulgrave Institute takes its name from the Sulgrave Manor in England, the ancestral home of the Washington family. Members include Americans, Englishmen, and Canadians with the purpose of promoting friendly relations among their nations’. In 1922 the Sulgrave Institute also presented a bust of William Pitt to the city of Pittsburgh, Pennsylvania, in September 1922 and a statue of Viscount Bryce, historian, statesmen and author of The American Commonwealth in October 1922, at the Capitol building, to the United States at no expense to the taxpayer.